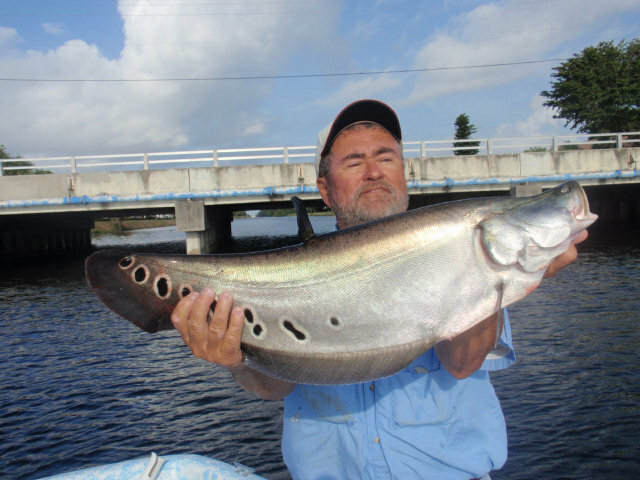 Clown Knifefish from South Florida…somewhere within the canal and lake system connecting Lake Ida and Lake Osborne. They are there but tough to target. Next time I’ll try harder for them. Clown Knifefish is correct. Mark is very quick, no doubt a subscriber of our email updates! Freaky fish! :) btw – love the new shirts and trout pics! That is the craziest fish I’ve ever seen!